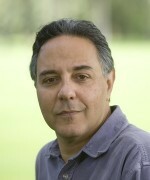 Paul G. Falkowski holds the Bennett L. Smith Chair in Business and Natural Resources at Rutgers University. He is a member of the National Academy of Sciences, the American Academy of Arts and Sciences and a fellow of both the American Geophysical Union and the American Academy of Microbiology. 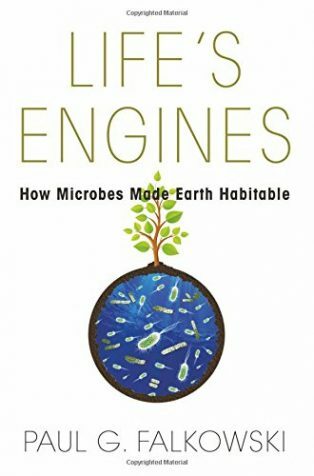 His latest book is Life's Engines: How Microbes Made Earth Habitable. How did you get interested in microbiology? What is it that fascinates you about microbes? I guess it started when I was a little kid. It’s one of those accidents where my father gave me a microscope for one of my birthdays; I think I was around nine. I had a fish tank, and I started to look down the barrel and see amoebae and paramecia. I didn’t really know what bacteria were, but I saw them eating little particles. Then, as I grew up, I started to think more and more about microbial things. I never really acted on it: University was almost mind-numbingly boring in biology. It was nothing but memorization of plants and animals and their parts and it wasn’t putting things together for me. It wasn’t until I started working on my own, years later, at Brookhaven National Lab, that I started to think about microbial systems. I was working on phytoplankton, which are microbes. I started to think about the evolution of nitrogen fixation, for example, and the evolution of oxygen on the planet. I started to think about how microbes changed the planet. I started to think very deeply about the importance of microbes in the origins of life on Earth and the continuing existence of animals and plants. Things just kept going from there. I’m a biophysicist by training and one of the big transformative experiences that I had was when I left Brookhaven National Lab. I came to Rutgers University, and I was asked to join the geology department. I had only ever taken one geology course at university — that had been it for my entire life. But the geologists said, “You’ll be fine! Just set up a course.” So I started a course called ‘History of the Earth’s Systems’ which I was given a year to prepare. I started to spend a lot of lot of time in the field and working with geologists and trying to understand geology. I realized that the geologists didn’t know much biology, but, after a few years, I knew a fair bit of geology. Rutgers gave me an incredible opportunity to tie in geochemistry and geology with evolution of minerals and the evolution of microbes. So really bringing those two different fields together. Yes. I have a pen in my pocket, which was made in Hawaii and it’s made out of malachite. Malachite is a beautiful, green copper mineral that wouldn’t exist if it weren’t for oxygen in the atmosphere. In a way, the evolution of oxygen by microbes made malachite and many other minerals possible. About 3000 minerals came to exist because of microbes, not just because of geology. Microbes shaped our planet in many ways we don’t even think about. Your first book goes right back to the beginning of microbiology. You chose Micrographia by Robert Hooke which was published in 1665. Can you tell me a bit about it? This book is an oldie but goldie. It was the first scientific bestseller, as near as I can tell. There’s a quote from Samuel Pepys — who was an original fellow of the Royal Society — that he stayed up until two ‘o’ clock in the morning reading Hooke’s book. Incredibly, the book is still in print. There are, I believe, 54 illustrations in it. It was the first book that really showed the public what the world they could not see with their naked eye looked like. It was really amazing. The writing of the book is obviously stilted in modern English — it goes on in many digressions, as was the style in the seventeenth century. But the illustrations in the book were done by Hooke himself and are breathtaking for their incredible accuracy, even today. Hooke obviously could not anticipate the extent of the influence the book would have later. One of the things he did was cut a little, skinny piece of cork with a penknife. He put this under his microscope, which only magnified somewhere around maybe 20 times. He saw these tiny little chambers in the piece of cork and they reminded him of the types of rooms in which monks lived. So he called them “cells”. It was the first description of biological structure that is a cell. He did many other things. There were images of the eyes of fleas and the wings of flies. The book influenced a lot of thought about the microbial world in 1665. It was published very shortly after the Royal Society was established by charter by King Charles II — and was one of the first books that was ever published by the Royal Society. I never saw the original, I only saw a very good reproduction of it when I was working on my book at Harvard. I subsequently bought a paperback version of it. The illustrations aren’t quite as good, but you still get a good flavour of it. You say in your book, Life’s Engines, that the discovery of the microbial realm changed the world as profoundly as Galileo’s telescope observations, which disproved the geocentric view of the solar system. What was so revolutionary about seeing the world through a microscope for the first time? People started to realize — not just with Hooke, but also with Leeuwenhoek, who never wrote a book (he only wrote papers for the Royal Society, and essays) that there were these microscopic organisms, that Leeuwenhoek called at the time, ‘animalcules.’ These were organisms that were envisioned to have little mouths and little stomachs and look like miniature animals. They were very, very, small and many of them could swim. In fact, that’s how they were detected. People started to puzzle about the origins of life this way, because they wondered if you could spontaneously make these organisms without anything else? Leeuwenhoek put some peppercorns in water, and put them on a shelf. A few weeks later, the water was cloudy. He realized that there were these animalcules, which were bacteria, in the water. So people started to take on this concept of ‘spontaneous generation’ of life. That was obviously a misconception, but it at least led to testable hypotheses about what it is that allowed these organisms to reproduce, and to reproduce very quickly. They were discovered in our mouths and all over us and also in the soil and in all natural waters. It became very clear these microscopic organisms are just about everywhere on our planet, in our bodies and in our faeces. Their importance wasn’t really understood — and still is not completely understood — until the middle of the 19th century, when it was discovered by Koch and others that these organisms could cause disease, very bad diseases -— like anthrax, for example. That’s really where the connection was to human mortality. Then the Dutch, in the late 19th/early 20th century, realized that some of these organisms could convert atmospheric nitrogen to ammonia and that they were also essential for the growth of plants. 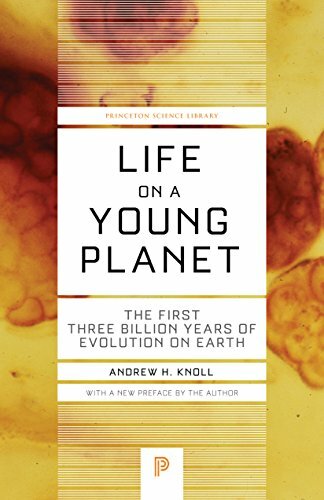 That link with the atmosphere and the planet brings us to your second choice, Life on a Young Planet by Andrew Knoll, which tells the story of the first three billion years of life on Earth. What’s special about this book? The whole story of the first three billion years of life on Earth is that there were no plants or animals. In terms of living organisms, everything was microbial. Exactly. Andy Knoll is a world expert in an area of micropalaeontology, which is the study of fossils of microbes. He was a student of the late Elso Barghoorn, a pioneer of micropaleontology at Harvard. Together they developed the field of study of the earliest fossils of single-celled organisms. What Andy has done is really exposed us to the world before animals and plants, when there was strong evidence of life but the world was totally controlled by single celled organisms, the protists. We don’t have a good fossil record for that period. The fossils we do have are largely organisms that had cell walls and were fairly large. The protists are a lot bigger than bacteria, but their fossil record goes back almost 2 billion years. Andy has actually worked on older fossils. Some of these are very controversial. In the UK there was a very famous paleontologist, Martin Brasier. He was at Oxford University, but tragically died last December in a car accident. There was another palaeontologist who was a student in the same lab, but a little bit before Andy Knoll, Bill Schopf. Schopf had discovered fossils in Australia that went back to about 3.6 billion years. Brasier claimed these were artifacts, but later in life, rediscovered, I would say, fossils from Australia that also date back to about 3.4 billion years. The field is still trying to disentangle what these microbial structures that are poorly preserved in the rocks mean. Andy Knoll tells the story of the earliest life forms that he can detect, and the earliest evolution and co-evolution of life and geological processes. That book was very influential for me. He talks not just about how the evolution of life has been affected by the environment of the planet, but by how it, in turn, has changed that environment. Exactly. Lovelock would call this a Gaia type of system. That term doesn’t appeal to me, but I understand what Jim Lovelock is trying to say. It’s about the co-evolution of life and geological processes: They influence each other. It’s not like geology is the driver and biology is the slave, biology also has a feedback on geological processes. Andy brings that up quite well in his book. 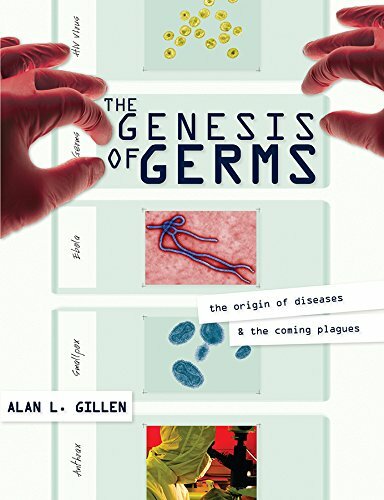 I was surprised by your next choice, The Genesis of Germs by Alan Gillan. This is a creationist text arguing that microbes haven’t evolved at all, but were created by God. Why did you choose this? It’s not my favourite book, it’s just a book I found interesting. It was published in 2007, almost 350 years after Hooke. It’s 148 years since the first edition of The Origin of Species was published in 1859. Here you have a person studying the organisms that most obviously represent a history of evolution, and yet, amazingly, the idea of microbes appeals to him as a creationist. I find this very, very amusing because it’s shocking – and the author apparently is unaware of the irony. We currently have 14 candidates in the Republican Party running for president of the United States. Not one of them will be able to stand up in front of a television audience in the United States and say, “I believe in evolution” and win the nomination. We still have books published that appeal to a creationist worldview, that are supposedly written by scientists. That’s just mind-boggling to me. It’s amazing that this book is bought and sold – and it sells very well. What is the answer? Should scientists be arguing with creationists? How do we tackle this? Once a religious worldview is embedded to displace scientific thought, it’s very difficult, even in children, to present data that changes that worldview. The idea that we should be discussing evolution as a ‘theory’ is fundamentally flawed. The word ‘theory’ is used in the vernacular, at least in the US, as something that is not well known. So we say there is a ‘Law’ of gravity — we don’t say there is a ‘theory’ of gravity. But if you ask a physicist what causes gravity – what is the actual force due to? — they really don’t know. It’s an empirical phenomenon. If you say ‘Well, we don’t say there’s a ‘Law’ of evolution, do we really know that organisms have evolved from each other? The answer is ‘Yes’. There are changes and variations in organisms and one of the mechanisms for evolutionary processes is variation followed by selection — that’s the Darwinian mechanism — that process is demonstrable. It’s very, very easily shown with microbes. In fact, one of the very best ways we can prove evolution works as a process is because we can select for natural mutations in E.coli generations that have gone on for years. My colleague Rich Lenski has done exactly that at Michigan State University. He has 30 years of continuous cultures of Escherichia coli, and they’ve evolved. It is not possible to reconcile the demonstrable evidence with a religious worldview of creationism. Do you think teaching students about those kinds of studies could help? It’s possible. I sometimes have to push back against the creationists in the State of New Jersey when we teach high school biology teachers about how to teach evolution. Amazing isn’t it? This state is very educated — but the religious world-view can still impact the education of our children in public schools. 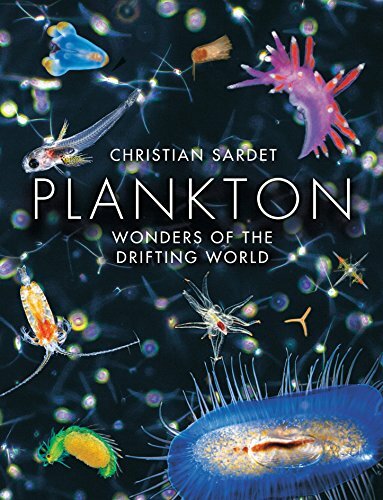 Let’s move on to your next choice, which is Plankton: Wonders of the Drifting World by Christian Sardet. This is one of the most beautiful books I’ve seen in a while, is that why you chose it? 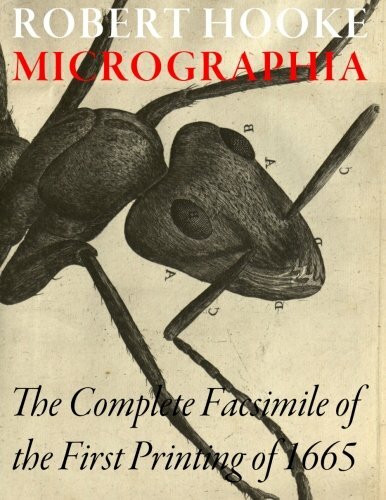 It’s a 21st century version of a Robert Hooke book – in vivid color and beautiful photomicrographs. If you were to take Hooke and bring him into the modern world and say, ‘OK Bobby, here you go, here’s a microscope, and by the way, you have this new thing called a “camera” and you can take pictures of the beasts!’ he would have had been in scientific Heaven- just like Christian when he made these images. Hooke would have been absolutely fascinated by the plankton, and would have loved to have made these very, very beautiful images that almost literally bring to life what the microscopic world is. Tell me more about what’s in the book, what its scope is. Christian Sardet is a developmental biologist by training. He’s French and lives in Villefranche-sur-Mer, right next to Nice in the south of France. He became fascinated with microscopic photography during his professional work. Several years ago, Christian became interested in plankton, because of the so-called ‘Tara’ expedition. Tara is a French midsized sail boat that went around the world sampling organisms from all over, actually following some of the same lines as Darwin’s journey in the Beagle. Christian started to image organisms during that period. It’s an incredibly beautiful, almost a coffee table book, but it’s also a serious science book. You could take it as both. The beautiful photographs and colours are of organisms from the plankton that are photosynthetic — the phytoplankton — to zooplankton, to larvae of various animals in their planktonic phase. For those who don’t know, the word plankton is from the Greek. It’s the same root as the word ‘planet.’ It means to drift. By definition, plankton are organisms that cannot control their horizontal motion in the water. They just drift with the currents. Some of them can go up and down in the water column, but they can’t go in the x-y direction. Their body forms have fascinated scientists and people who have seen images of them for over a century. Christian has helped bring these organisms to life in a book. Apart from the pictures, the other thing that came out of this book for me is the fact that plankton produce half the oxygen in the atmosphere. That’s right. That’s a calculation I did with a few colleagues almost 20 years ago now. It was a fascinating exercise, figuring out what the productivity of the planet was. When we realized that about 45% of the oxygen on Earth is produced by less than 1% of the biomass, that was something of a shocker. 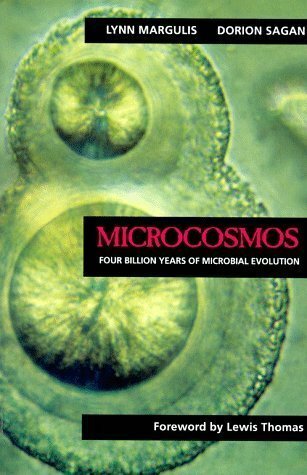 Let’s move on to your final choice, which is Microcosmos by Lynn Margulis and Dorion Sagan, a classic book. Lynn Margulis was a force of a nature for those of us who had the pleasure of knowing her. She was one of the great enthusiasts of biology, especially microbiology, of the last century. 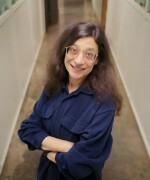 Her major contribution wasn’t in her own discoveries so much as in popularizing and explaining the concept of symbiosis to the public and to her fellow biologists. Lynn had, at one time, been married to the late Carl Sagan, who was an astronomer. Dorion Sagan, who is the co-author of this book, is her son. Lynn rediscovered the concept of symbiosis. The idea is very simple. It’s that every eukaryote has one or sometimes two organelles — that’s a membrane-bound body within the cell. For us, it’s mitochondria. All animals and all plants have mitochondria. Mitochondria are where the energy is made in animals. It’s the place where we respire our oxygen. Mitochondria originally were a type of photosynthetic bacterium that didn’t make oxygen. The other organelle is a chloroplast. The chloroplast in all plants is derived, originally, from another bacterium — a blue-green alga — which can make oxygen. The central idea in Microcosmos is that these organelles were carried along through life virtually unchanged. They are, as it were, the nanomachines that were derived by microbes, literally 3 billion years ago, and have been moved on into other body parts of higher plants and animals virtually intact. And she really argues for the idea that evolution is not necessarily always about competition and winners and losers, but also about cooperation. Yes, that’s another area where Lynn tried very hard to make inroads. The co-operative part of it is that microbes form consortia. The consortia have partners that give something into the pool and withdraw something from the pool of their partners. This idea of microbes together forming collective consortia leads to a symbiotic association later. It’s actually a very important concept, because if you think about it, that’s exactly what happens in each of us individually, in our guts. We have microbes that form a consortium and for each of us, it’s a unique consortium that helps us with digestion of our food and obtaining nutrients from what we eat. If the microbes in our guts were a single species we wouldn’t be here, we would probably be dead. That idea of microbes as social organisms was actually popularized by Lynn a long time ago, but it took me a long time to really appreciate what she was saying. That book came out in 1986, does it still have lessons for us today? It came out very early. People can go back and read Lynn’s books, and they’ll still find them inspiring. Virtually everybody that ever read one of her books understood the importance of these concepts. We’re just starting to really understand them now, in terms of human health. Yes, reading it now, it feels very current. It didn’t feel like a book that’s nearly 30 years old. 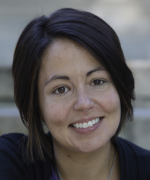 She had a good style of writing and Dorion became a professional writer. She wasn’t a great experimentalist, that was not her forte. Her forte was communicating ideas, and she did a magnificent job. She did it in a way that was very accessible, and the concepts don’t go away. We’re still learning the rules of how microbes talk to each other and how they communicate with each other and form consortia, and how they form symbiotic associations. The book comes back to some themes that come through in several of your book choices. There’s the interconnectedness — both between different forms of life and between life on the planet — and also the idea that this story of life on Earth is about much more than just a path to humans. Are these themes that influence your own research? I’m very interested in what I call the global electronic marketplace, which is how the planet moves major materials — such as oxygen and carbon dioxide and nitrogen gases — across the planet to interact with microbes very far away and forms a planetary circuit. My work is primarily about going from the very, very small nanostructures within these mitochondria and chloroplasts to how when you build upon billions, trillions and quadrillions of these processes they really influence the planet. I am trying to understand how nature works from the very, very small structures to very large outcomes of planetary change.